Iran’s Minister of Communications and Information Technology Mohammad Javad Azari Jahromi has criticised a decision to block the popular messaging app Telegram in Iran, saying it was no solution to concerns regarding the messenger in the country. Telegram was eventually filtered on Monday night, capping months of speculations regarding the fate of the encrypted messaging app that has been accused of allowing elements hostile to the Islamic Republic to fuel violence in Iran. The Iranian judiciary, in a surprise announcement raising eyebrows among 40 million Iranian users of Telegram, said it has issued a “total ban” on Telegram following frequent requests. In posts on Twitter on Tuesday, Azari Jahromi said the filtering of Telegram is equal to imposing sanctions on Iranians, leading to backwardness. The minister also suggested the filtering could hardly be successful, as people could easily bypass it or choose to use similar services. “The citizen’s access to sources of information is not limitable, even if an application is blocked. Similar software will be replaced and the free flow of information will be created again,” the minister said. Azari Jahromi said he is of the opinion that Iran has to develop an effective policy regarding social media and allow free access to them while finding a way to establish its sovereignty over the country’s cyberspace. The fate of Telegram in Iran become a hot subject in social circles late March, when the head of the national security commission Alaeddin Boroujerdi said a decision has been made “at the highest levels” to permanently ban Telegram. Boroujerdi cited “national security” concerns as the reason the messaging service will no longer be accessible. However, his comments were shortly afterwards contradicted by President Hassan Rouhani, who said he opposes the filtering of Telegram and believes the government should instead work to end the monopoly of foreign services on the Iranian cyberspace. Last month, Rouhani had vowed to safeguard people’s right to free access to communicational tools. But the judiciary ordered a “total ban” on the messaging app that would require the providers to ensure there is no way circumvent the restrictions. 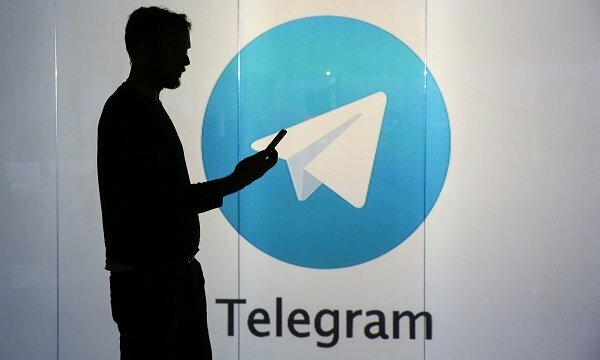 “Considering various complaints against the Telegram social networking app by Iranian citizens and based on the demand of security organizations to confront the illegal activities of Telegram, the judiciary has banned its usage in Iran,” the Iranian media reported a court in Tehran as saying. “All Internet providers in Iran must take steps to block Telegram’s website and app as of April 30,” it said. The critical comments by Azari Jahromi were followed by reports on Iranian media that the ICT minister has resigned, but Azari Jahromi denied them in a talk with ISNA later on Tuesday. However, he reiterated his position that the blocking of Telegram is not a solution. Pointing to controversies over the filtering of Telegram in Russia, Azari Jahromi suggested similar problems could happen in Iran. “We have provided related authorities with well-documented reports regarding the challenges created by the filtering of Telegram,” he said. Iran is not the first country to ban the messaging app. In mid-April, the Russian telecommunications watchdog also ordered internet providers to restrict access to all servers used by the Telegram, RT reported. The move was taken after the company operating the messenger refused to comply with Russian law and hand over encryption keys to the Russian security services, arguing that was technically impossible. Iranian officials in recent weeks have been encouraging Iranians to use domestic alternatives to Telegram. ast month, Iran’s state institutions started replacing Telegram with domestic services, including Soroush. But some Iranians are reluctant to use domestic apps, fearing they could be used by security apparatus to spy on them.